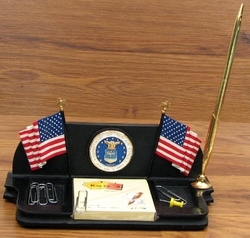 Measures: American Heros Desk Caddy. USA Dept of the Air Force. 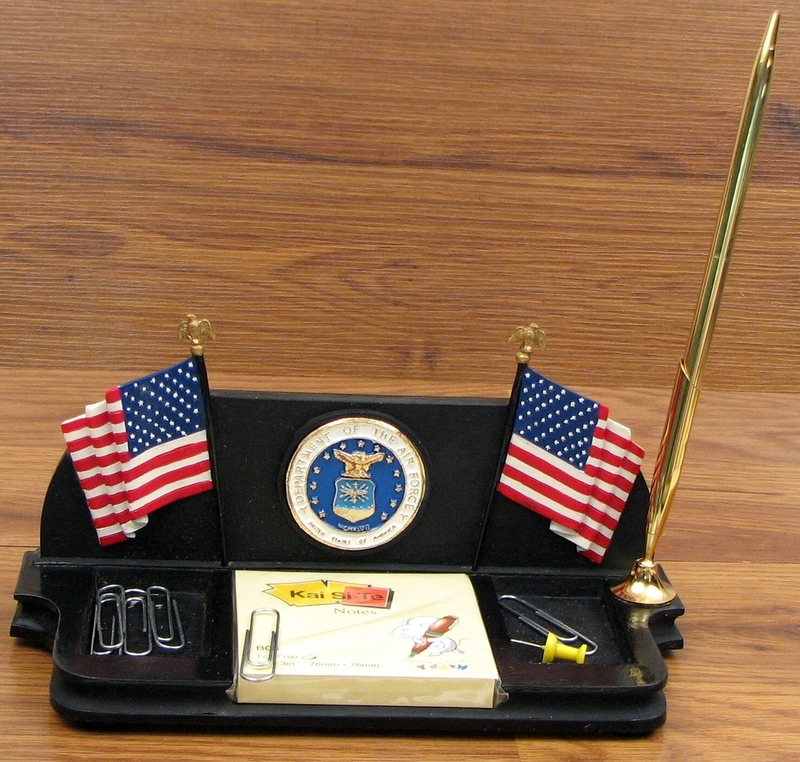 Great addition for any office decor for the Air Force Veteran or active Air Force. Measures: 6 1/2" W. X 4" H. X 3 3/4" D.